Sil's Auto Centre, located in Oakville, ON, is well known as an auto repair shop that provides high quality car repair services and excellent customer service since 1976. Sil's only employs professionally trained, licensed and experienced auto mechanics and service advisors. 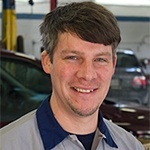 We require our employees to undergo continual training to receive the latest information on auto repair technology and techniques. We take pride in the personalized customer service we provide each customer. We know that it is a team effort, and we value and appreciate the contribution made by each member of the Sil's team. With a focus on quality workmanship, attention to detail, and by providing exceptional service we continue to build on our reputation. I was exposed to the family business from an early age - back in the early 1980s, helping out in the summertime to pump gas for the Clarkson locals, eventually assisting with tire repairs, helping the auto mechanics, and keeping the shop tidy. Upon graduation from St Paul Secondary School, I attended Ryerson University for Marketing and Management, finally joining the family business on a full time basis in 1994. In 2004, I graduated from the Automotive Power Technician Program at Mohawk College. Ownership of Sil's Complete Auto Centre was transferred to me in 2009 and I look forward to the future growth and success of this company. I have been on the Board of Directors for AARO (Automotive Aftermarket Retailers of Ontario) and in focus groups for CAA (Canadian Automobile Association). I am ODP certified, Drive Clean Emission Inspector certified and continue to attend numerous technical and automotive business management training courses, resulting in numerous certificates. Outside of work I enjoy spending time with my wife Melanie, who has been instrumental in helping me achieve work/life balance. I have a great team both at work and at home! I also enjoy reading and landscaping around the house. I look forward to growing our company further to continue to meet the needs of our growing clientele. What an adventure the last 34 years have been, since opening the doors to my first shop to where we are today! From that part time job at the Texaco gas station at the corner of Highway 5 and 10, where I wore the Texaco hat and uniform, cleaned every car window, pumped gas on the first bell ring, my journey in this business has evolved over time. Back in March of 1975, I received my automotive trade license. The following year I officially ventured out on my own and opened Sil's Service Centre, a two bay BP gas station on the current Royal Bank site in Clarkson. I can tell you I have seen a lot of changes in the automotive industry, all very exciting! I have had the fortune of being trained by the best professionals in this industry. I have had excellent, faithful, and locally schooled staff members. This continues to be the case today. I'm proud to see my son Carlo take over the business, as he has devoted the same level of care, honesty and hard work as I have. His emphasis on advanced technology, and the implementation of systems shows he is taking the business into the future. 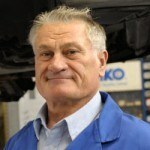 Now in my semi-retirement, I am pleased to enjoy a new journey, repairing vintage cars and enjoying country life, but will continue to provide guidance and assistance to Carlo's business. I appreciate that so many of our original customers from 1976 are still with us I would like to thank them and all of our clients for their continued patronage. I've been Silvano's partner since 1976, in business and as his wife. It's a great feeling to know that even after this many years we still enjoy working and being together. Although like Sil, I'm semi-retired, I still help to ensure customer care is managed, along with ongoing bookkeeping responsibilities. It is this customer care that we have offered for so many years that has made Sil's Complete Auto Care your first choice in automotive service. These days I also spend a good portion of my time involved in church organizations and enjoying the quality of life with my family. Eighteen years already in the business-as they say, time flies when you're having fun! I was mentored by Sil himself and while he may have been a tough teacher, I learned so much. 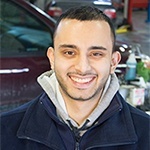 My entire automotive career has been at Sil's Complete Auto Care, from my days as a high school co-op student, throughout my apprenticeship, to today. Throughout the years, I have attended over 150 training courses covering imports, domestics and European vehicles. I am Ozone Depletion Certified (ODP) for air conditioning systems, Drive Clean Emission Technician Certified, Hybrid System Trained and Computrek Management trained. When I'm not working on your vehicle I enjoy playing with my band Fourlines. We've been together for many years, toured across Canada and play regularly in Port Credit. You can hear us at www.myspace.com/4lines. I also enjoy spending time with my fianc'e Ruth and having a great time with all my family here. I have been here for several years coming to Sils from a quick lube facility, with the support of Carlo and the other technicians I have completed the automotive trades programs and successful passed my 310 Motive Power exam. It’s been a long journey here and having this license is a great accomplishment. This is the beginning of a great career and this place has plenty of training and technology to make sure we take care of your vehicle properly. 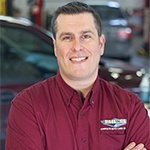 As a new team member here, I have spent my career working with two Ford dealers in Oakville, starting from the bottom up and working my way up as lead advisor. 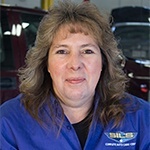 I bring over 25 years of Service advisor experience to the table with my role here at Sils Auto. After meeting Carlo and seeing Sils Auto it was time to change and leave the dealer environment and try the Independent Service sector. It's been a very different experience. Service, communication and the customer experience is priority number one for Sils. This place runs like a dealer environment with a spotless shop, and up to date technology yet it's a family owned and operated business. I look forward to my career here and the ongoing training and support to come. Having and interest in cars, and the auto industry I have now started my apprenticeship career with Sils Auto. Working with some very knowledgeable and skilled techs I look forward to starting my schooling this coming year. I received my Drive Clean inspector certificate this past year and I'm learning how to service and maintain vehicle the right way.